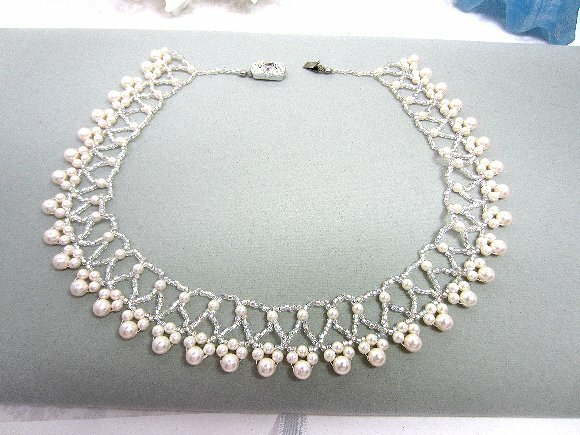 I used two sizes of Swarovski Crystal's light creamrose pearls to build this intricate bead work necklace. 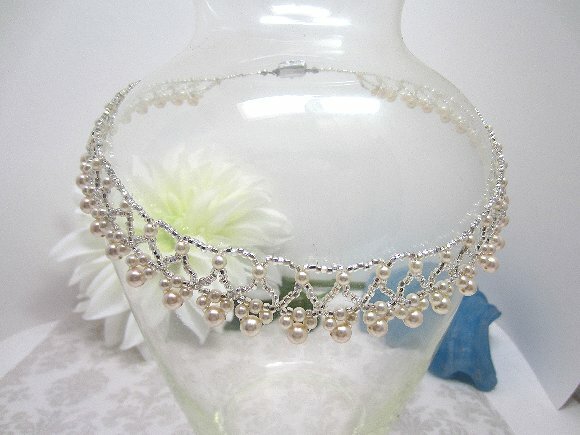 I have it in mind for the bride, but I can make multiples in any number of colors for the wedding party. 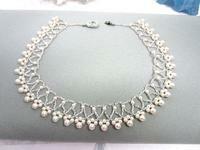 The necklace that you see in the images is 19" long, but the design lends itself to customization. 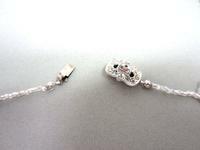 It closes with a vintage silver plated rhinestone clasp. 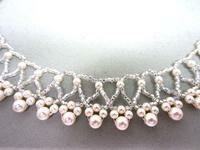 The bead work is 1" wide. 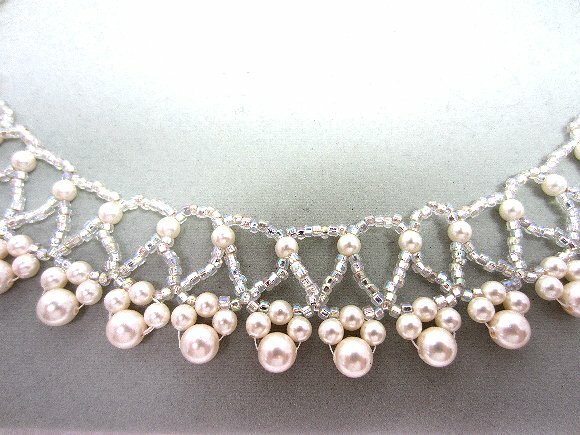 When classic design meets meticulous execution, the result is this bead work pearl collar necklace from SPARKLE PLENTY.